This course is approved in Germany for study leave! 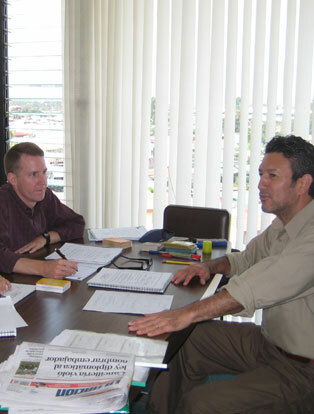 The Super-Intensive course is similar to the Intensive Course, with great emphasis on conversations. However, next to the morning session in the afternoon, one private hour is added to the Super-Intensive course. This way, teachers can cater to the individual needs of the student. This course is designed for those who want to learn Spanish as much as possible in a short time. Study leave is a special type of employee training. This is an exemption during the operating hours and is used for professional or political development. Basically, every German worker is entitled to 5 days study leave a year (or 10 days in two years). The legal regime in each state varies, please check with your local Ministry of Education and your employer. Our course, “Super-Intensive Spanish” is in accordance with German law (content, duration, etc.) regarding the recognition of the courses designed for study leave.